It is a pre-wedding ritual at all Hindu Weddings. It is usually a paste made of Turmeric Powder and Water. In Northern India, haldi is referred to as ubtan or tel-baan whereas in the South, its called manjal or paspu. The haldi rasam or ceremony is also known as pithi ceremony in some communities. The Haldi ceremony precedes the wedding. It takes place after the mehendi, either one day before or on the morning of the wedding. Some families prefer the ceremony, a couple of days before the wedding at their respected homes. A separate haldi ceremony is held at both the bride or groom’s house. The Turmeric Powder can be easily prepared at home or purchased from outlets. Turmeric is basically a root. It is dried and then ground into a dry powder. 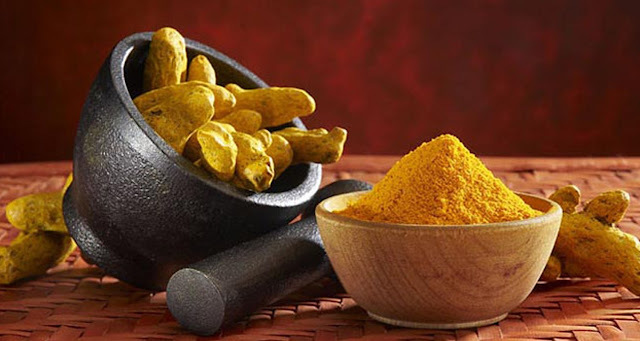 Turmeric is mixed with rosewater and sandalwood powder. In addition, some purifying and fragrant ingredients are also added to it. All these are mixed to a smooth consistent paste. The practice of using Haldi has it’s references in historic scriptures. During the ritual, the bride is seated on a low chair. The women of the family sing and dance as they apply the paste either using hand or a leaf on the feet, knees, arms, hands and the face. On completion of the ceremony, the bride’s mother or any other close female member helps the bride take her shower in order to retain the fresh look of mehendi in her hands. Once the haldi is washed off, the bride looks radiant! It is believed that the yellow color lightens and clears the skin from blemishes. In addition, adds a natural shine to the face. The haldi ceremony is an Indian beautification process or session for the bride and groom before their D-day. It is believed that once the haldi ceremony takes place, both the bride and groom are not allowed to step out of their house until their wedding, as turmeric is a symbol of protection. The color yellow is considered auspicious in Indian weddings. It is believed, that yellow relates to prosperity and happiness for the couple’s married life. Application of haldi infuses a natural glow to the skin, making the bride look more beautiful and ready for their wedding celebrations. Turmeric is nature’s best gift to mankind. Turmeric has anti-septic and anti-inflammatory properties thereby gaining popularity in alternative medicine.